When you do the right thing, you don’t have to do it perfectly in order to make a difference. So I’m going to pick up a pocketknife and cut this film some slack, the way that its main characters have had to cut fishing line and nets off of trapped and disabled marine life. Dolphin Tale was based on a true story and used a combination of CGI, animatronics, and real dolphins to tell the tale of Winter, a rescued animal that was fitted with a prosthetic tail and became a beacon of inspiration for physically challenged people everywhere. So many of them came to the Clearwater Marine Hospital to see her that the place not only survived its own bout with possible extinction, but also expanded to a full-blown aquarium to accommodate all the new interest. People who made this film thought it was a one-and-done, with no plans for a sequel. 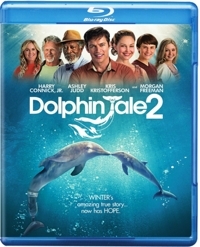 But when they realized that the story about the subsequent acquisition of a very young dolphin named Hope was just as interesting and actually intersected with Winter’s story, Dolphin Tale 2 was born. The same cast returns, with singer Harry Connick, Jr. playing Dr. Clay Haskett, the amiable head of Clearwater Marine Hospital. 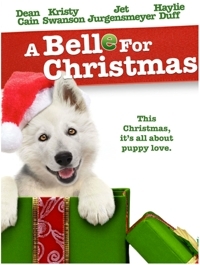 Kris Kristofferson is his retired father who lives in a houseboat next to the hospital, while Morgan Freeman reprises his role as prosthetics expert Dr. Cameron McCarthy, and Ashley Judd returns as the mother of Sawyer, a young boy who formed a bond with Winter in the first film. There’s nothing in The Hundred-Foot Journey that the whole family can’t see, thanks to an overly dark night scene that’s so murky you can’t tell what’s going on. There is a fire and a character does die, but there’s nothing so graphic that it would warrant staying away—especially when the theme of cultural acceptance and understanding is one that many parents would like their children to see. The Hundred-Foot Journey goes a surprising number of places for such a short trip. It’s a love story, a story about culture clash, an underdog success story, and a movie that celebrates food—albeit one that devolves into a food fight at one point, figuratively speaking. But this little film has heart. 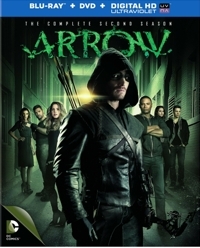 How can it not, being executive produced by the reunited team of Steven Spielberg and Oprah Winfrey? Everybody in the audience gets a box of warm fuzzies. Director Lasse Hallström (Salmon Fishing in the Yemen) is no stranger to films that celebrate food. His Chocolat (2000) was among those first-wave attempts to incorporate the transformative properties of delicious concoctions into the narrative. In fact, there are a few similarities to The Hundred Foot Journey. Both films focus on characters new to a conservative, provincial French town the plot revolves around the way that the new arrivals gradually win everyone over because of the food that they make. Into the Woods is a strange musical that’s about to get even stranger this Christmas when Disney’s film version debuts with Johnny Depp as the wolf and Meryl Streep as the witch. But if you want to see the original Broadway production that inspired it, James Lapine does a nice job of filming a performance from the show’s initial 1987 run, with camerawork that pulls in tight for plenty of medium shots that give the stage production a filmic feel—especially since there are no audience reaction shots. It’s a technically accomplished film version of a real Broadway production. 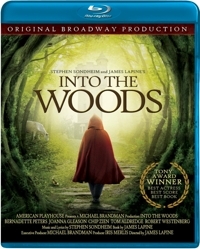 Into the Woods earned Bernadette Peters a Tony Award for Best Actress and statues as well for Stephen Sondheim (Best Score) and Lapine (Best Book). You can see why. There are a few catchy songs, but you won’t walk away singing the score the way you might with something like Frozen. In weaving together the stories of Cinderella, Jack and his mother (and the beanstalk), Little Red Riding Hood, Rapunzel, and the Baker and the Baker’s Wife, Lapine uses the witch as a lynch pin and Sondheim creates song after song that mimics the narrative structure with its high level of discordance and overlapping and interwoven sung lines. That’s one thing that makes this Broadway musical distinctive, and one thing that adds a level of sophistication that might push it beyond the comfort zone of some younger viewers. What If Daniel Radcliffe took a break from the horror-thriller movies he’s been making since his Harry Potter run ended and tried his hand at a romantic comedy? 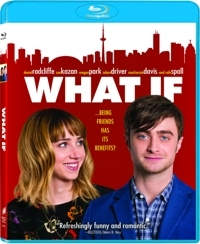 And what if he was paired with writer-actress Zoe Kazan (Ruby Sparks)? According to Radcliffe, “There was something lovely about just stepping up on the set and talking,” since this was the first contemporary character he’s ever played. So what if a nice-guy med school dropout named Wallace (Radcliffe), who’s been burned one too many times in a relationship, meets a woman (Kazan) who already has a boyfriend and clicks with her instantly? What if she drops the “f bomb” on him that no guy likes to hear: “Let’s be friends. Just friends”? And what if the two of them find themselves growing so close as friends that he definitely wants it to be more, and on some level, so does she? What would it take for good friends to move beyond that, without wrecking what they have? And without pushing the film’s rating into R territory? That’s the premise of What If, a PG-13 rated comedy-drama-romance that features intelligent writing, a believable chemistry between the slightly staid Wallace and borderline free spirit Chantry, and one “close-your-eyes” skinny-dipping moment that shows both actors’ bodies from behind in a moonlit (sorry, bad pun) long shot. Cartoon Network has a reputation for edgy, “out there,” and slightly manic animated shows aimed at kids ages 7-17. The characters are often anime-influenced and drawn with severe angularity, while the style of backgrounds would have to be called minimalist. 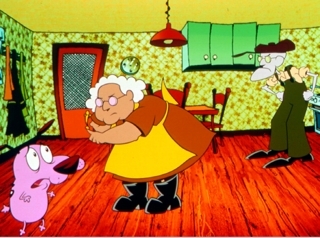 Coming out of CN in the early years were Dexter’s Laboratory, Johnny Bravo, Cow and Chicken, and I Am Weasel, followed by The Powerpuff Girls and this popular entry, Courage the Cowardly Dog. CN is part of Ted Turner’s broadcasting empire, and their shows have always tickled some children and rubbed others and parents the wrong way. They can be a little in your face, a little loud, a little shrill at times. 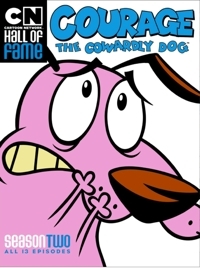 But as CN series go, Courage the Cowardly Dog is actually one of the more traditionally animated. The backgrounds have more detail, and there are more props than we get in other shows, which makes for a richer-looking appearance. The concept, meanwhile, is actually as familiar as it gets: a dog is adopted by an older lady named Murial Bagge, a farm wife who lives with her crotchety husband, Eustace, “in the middle of nowhere”—quite literally in the town of Nowhere, Kansas. But you know you’re not in Kansas anymore when the first episode is a riff on the Jack and the Beanstalk fairy tale, with a Magic Tree of Nowhere granting wishes . . . and gaining power as it goes. Many of the plots from this 13-episode season are fantastic, with the bulk of them drawing inspiration from the horror genre. One of the best is a take-off on the old Mummy films, but revolving around a special kind of cookie. And in a spoof of The Fly, Courage gets turned into a fly by a villain named Di Lung. Such episodes are constructed in thriller fashion but played for laughs, starting with a dog who’s deathly afraid of just about anything and REACTS IN A BIG WAY. Each outing, Courage has to confront all manner of fantastic villains and threats in order to save his often clueless owners.